Please find below information on the last regular meeting of the SY held on Saturday, 17th March. (1) First, Mr Hayamawa and Ms Kosuge reported on ‘The second all-France inter-highschool assembly for presentations in the Japanese language’ (held at the Institute of Japanese Culture in Paris on 3rd March). With great excitement, the two teachers spoke about the presentations by French high school students, showing slides depicting the assembly. 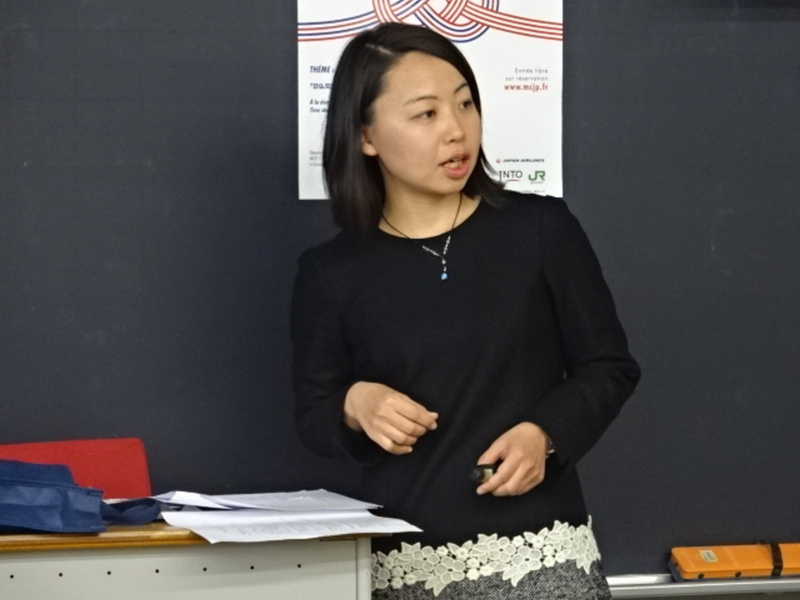 The assembly was planned and run by Ms Fujimitsu Yuko, a staff member of the institute of Japanese culture in Paris, as well as a member of the SAOL. (2) Second, progress of the preparation for Volume 4 was reported. It was reported that the publisher was changed from Junposha to Gakuji Shuppan, that almost all manuscripts had been submitted, and that the manuscripts were to be submitted to the publisher in the middle of May. 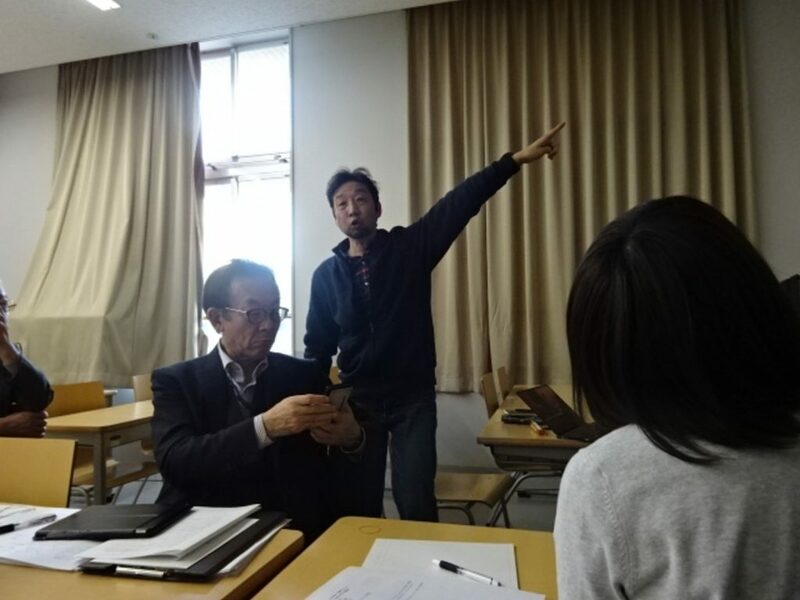 (3) For a practice report, Mr Miyazaki (Toho Elementary School) presented his ‘projects of school trip in Hiroshima’. The projects consisted of preparations, the ways his pupils listened, in Hiroshima, to stories narrated by hibakushas, victims of the atomic bomb, and presentations of their learning after coming back to Tokyo. Mr Miyazaki had tactically planned the project to have a learning circle of goal setting, research, reorganisation of pupils’ knowledge, and presentations. It was also noteworthy that activities that require ‘learning through expression’ was embedded in each stage of the learning process. (4) Finally, participants prepared for ‘the 17th presentation festival of high school students’ (scheduled for 27th March at Fukagawa Edo Museum). Mr Hayakawa is the chair of the steering committee. This entry was posted in Regular Meetings on 17/03/2018 by staff.